Belle Vue Apartment 201485 534771work01485 535540fax Self-cateringBelle-Vue Apartments offer exceptional self catering holiday accommodation in Hunstanton Norfolk only 5 minutes walk from the beach. 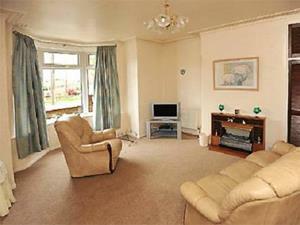 The property is located 3 minutes walk away from where Hunstanton Tennis Week takes place. As well as its beautiful beaches and famous red cliffs, Hunstanton has many local shops and restaurants. Chives restaurant in the High Street has an excellent reputation, and a new delicatessen has opened to phenomenal success. Fully equipped for self catering our Hunstanton apartments are an ideal base for your holiday. Belle-Vue Apartments offer exceptional self catering holiday accommodation in Hunstanton Norfolk only 5 minutes walk from the beach. The property is located 3 minutes walk away from where Hunstanton Tennis Week takes place. Turn left on the A149 opposite the playing fields main gates. Then 1st right and carry on to the end of this road. From King's Lynn - 16 miles.